Sharlach, Jeffrey.“Running in Bed”, Two Harbors Press, 2012. There was a time, in the 1970’s, after Stonewall, that gay men ran almost wild. They were full of youth and exhilaration and freedom was theirs. But then, there was a price to be paid and it is a price we are still paying. The 70’s were filled with highs and lows. It was then that being gay was considered a disease but the attitude was that if we were sick, we were going to enjoy it. Then came the 80’s and AIDS and everything changed. For those of us who lived through the two decades, this is a very personal book and we can find ourselves in the characters here. We meet Josh Silver, a recent college graduate who goes to his first job at a prestigious advertising agency on Madison Avenue where he was presented with his own office and secretary and a good. Gay life in New York was like a smorgasbord for him especially since he had convinced himself that once he got into the “real” world, he would stop dreaming about men and lead a “normal” life. He even went to a psychiatrist to become “reprogrammed” but there was too much temptation and he finally decide that it was time to accept himself for who he was. Being gay was one thing but Josh wanted more—he wanted to be in love but to reach that point he had to go through a good many men. When he does find love, he does so just as the 80’s ushered in the age of AIDS and ended the promiscuity of the prior decade. Suddenly everything seemed so temporary and fragile with lives cut short and at their prime. There are not many of us left who can remember what it was like back then as we were on a tightrope between life and death. This is Sharlach’s first novel and it is a beauty as it takes us to a time that will never be again. In the beginning, Josh was fine—a co-worker and his partner mentored him and he even met someone for a serious relationship. When AIDS came into his life, it took away many of his friends and here is the strength of the book. Using the themes of love and loss, we see a community (and individuals) at the crossroads. Many today do not understand what it is like not to accept yourself because you are gay. Today it is so easy to be gay and the only ones that have troubles with us also have troubles with everyone else. Once Josh accepted himself, he jumped right into gay life—visiting bookstore and bars, cruising Christopher Street and going to Fire Island. The men came and went until a hunky hustler by the name of Tommy Perez came into is life and stole his heart. This is our story and the story of New York although the very same story happened everywhere. What sets this apart from other similar books is the way the story was told. The characters are so real that I expected to look up from the pages and see them in my living room. I actually missed them when I finished the book. We have had a great many books about life in the time of AIDS so do we need another? I say there are never too many well-written books and here is one that ranks with the best of them. For those of us who lived through this period this is both a joyous and sad reminder told beautifully and realistically. 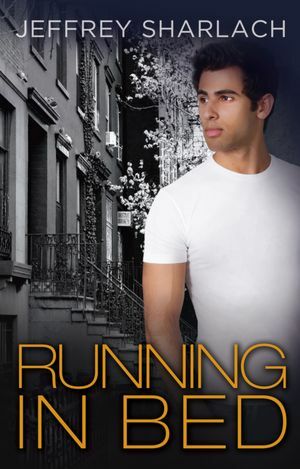 This entry was posted in GLBT fiction on May 14, 2012 by Amos.